It has been a significant omission not to have referred to Platt Chapel whilst preparing the page on a ‘Tour of Wilmslow Road’ or ‘Fallowfield Brow,’ but if I have an excuse it is that I have yet to find an old postcard view of the Chapel. If you are reading this page and do have an old photograph of the Chapel, perhaps you would be prepared to donate a copy to rusholmearchive.org, I should be very grateful! Meanwhile, I have provided below a photograph of the Chapel dated 1891 from the Manchester Central Library Archives ‘Images’ collection; I should like to express my appreciation for this loaned image. The picture of the Chapel below was taken from William Royles "History of Rusholme". 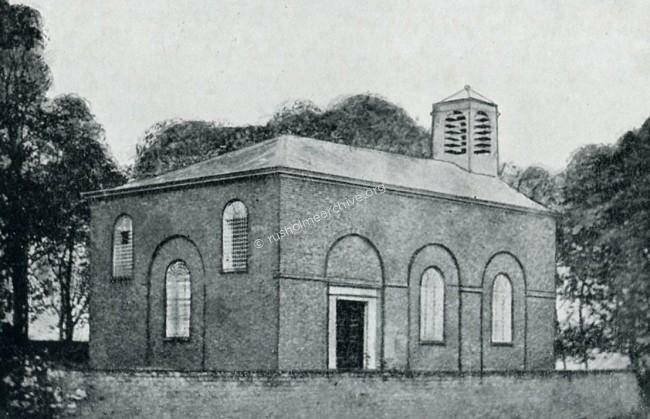 This shows the Chapel before the alteration in the 19th century. 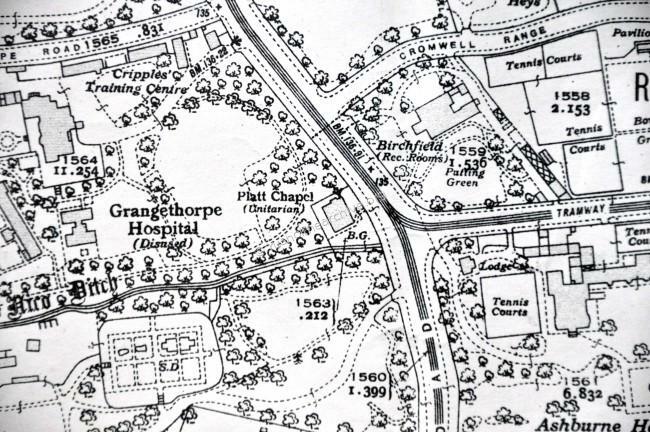 Platt Chapel is at the south-west end of the Platt estate, adjoining Wilmslow Road and almost opposite Hall Lane, (see centre of map below). Since the mid 1600’s there has been a history of ‘dissenters’ (nonconformists) in Rusholme and the surrounding district. For some 40-50 years they had been able to use the small chapel at Birch-in-Rusholme but in 1697 the new patron at Birch Hall, George Birch would only allow his chapel to be used by the Established church. After the ejection of the Rev Henry Finch & the congregation from Birch Chapel they continued to meet in private houses in the neighbourhood. In 1700 Platt Chapel was opened for the use of the Nonconformists. The local landed gentry, the Worsleys of Platt Hall, (donors of the site), the Edges and the Siddalls being the principal members of the congregation. 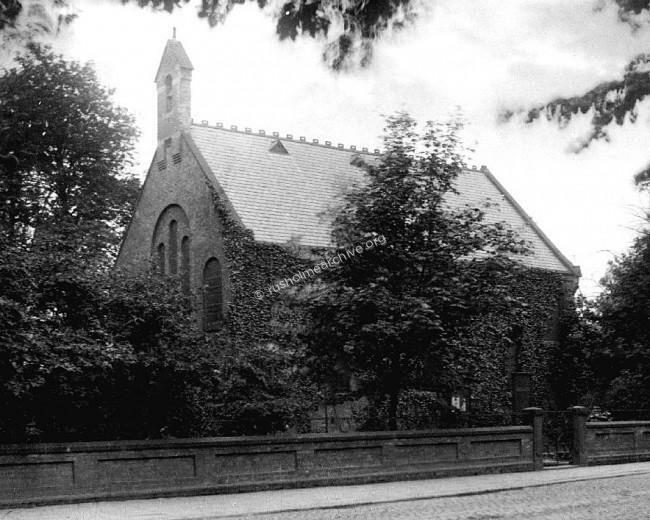 The Chapel continued in use until 1970, the teaching becoming Unitarian in the course of the 18th century.. During the middle of the 19th century there were alterations to the Chapel and in 1909 Wilmslow Road was widened, thus reducing the size of the surrounding graveyard. After its closure in 1970 it became the home of the Manchester Amateur Photographic Society, but they left the premises recently and it has since been used as a live music venue. 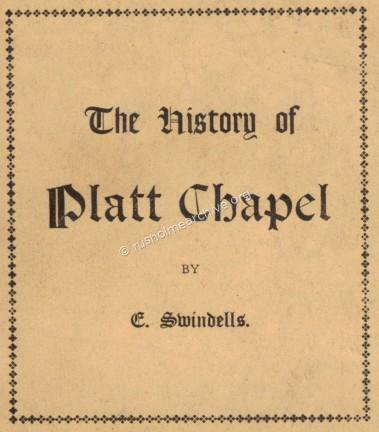 I have scanned a History of Platt Chapel which was produced in 1949 as the Chapel was approaching its 250th anniversary. This booklet, (43 pages) was written by Edward Swindells, the Joint Warden of the Chapel. Whilst the booklet is still in copyright it has not been possible to find anyone from the Chapel who might have been responsible for such matters. In reproducing the history of the Chapel I hope that if there is anyone aggrieved by my action perhaps they will contact me – but I do hope that in putting the history of the Chapel in the public domain the author, Edward Swindells, would agree that his work will now reach a wider audience.